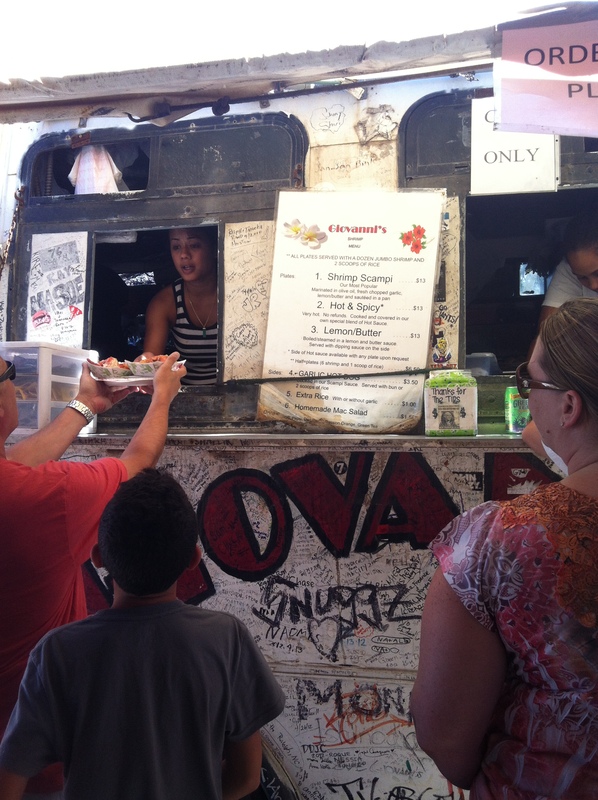 On my second day in Hawaii – that was suppose to be my third day (don’t ask – I have a hate on for United Airlines now, trust me) we went to Oahu’s famous Germaine’s Luau and on our way in the shuttle bus, our wicked awesome (yes sometimes I talk like I’m from Boston) told us that the classic “hang loose” symbol in Hawaii is totally misconstrued. 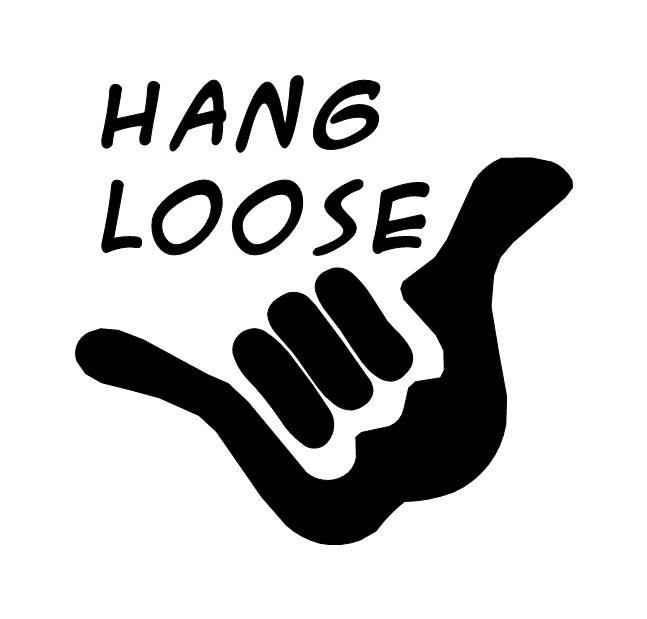 Actually means “Shaka” which means – cool. My mind was blown as well. He’s basically the coolest. He also magically appears on whatever Hawaiian beach I’m on. Imagine that. 2. Really fell in love with sunny Waikiki Beach. 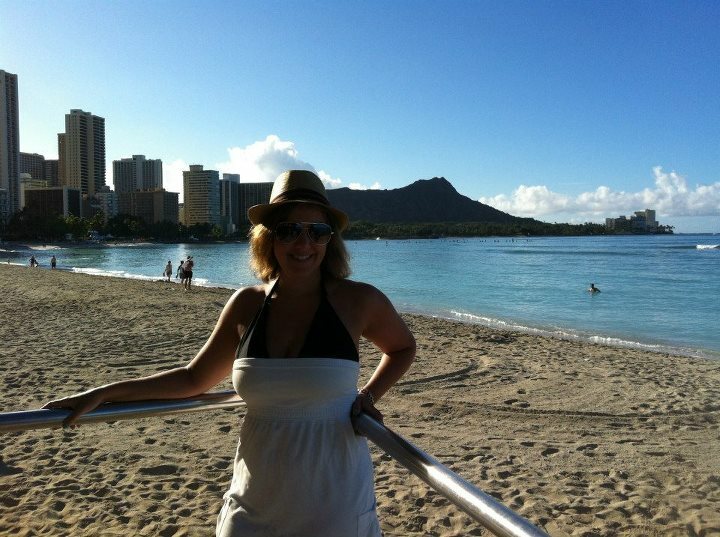 I was in Waikiki Beach for ONE day in 2011. It rained. So it’s been pretty damn shaka to enjoy the real, true Waikiki Beach in the sun. Looking forward to heading back for two more days next Sunday. 3. Had my first ever Dole Whip. 4. 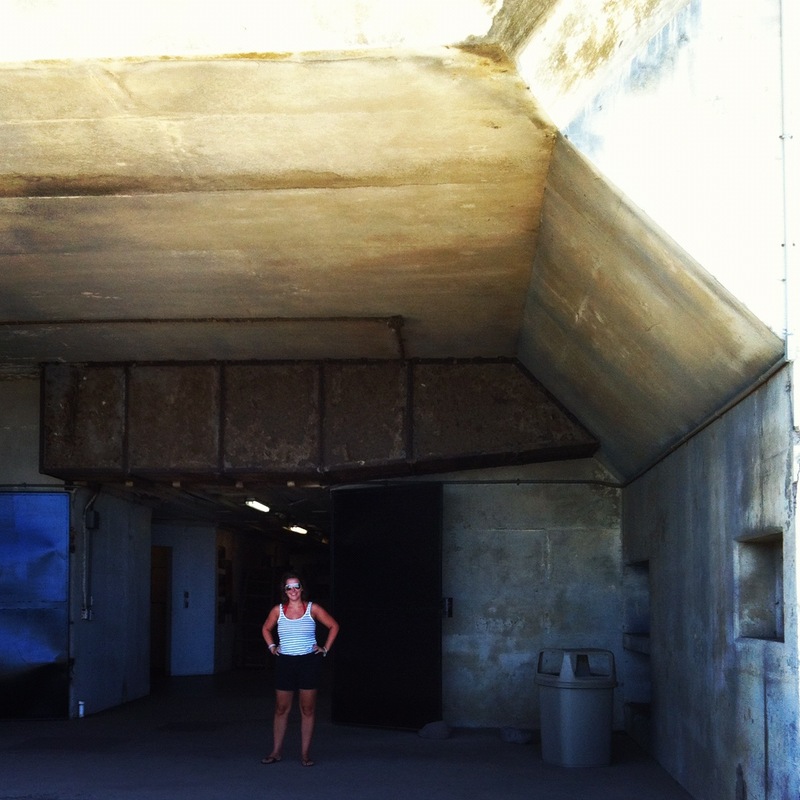 Had a total Jurassic Park geek moment at Kualoa Ranch. Total dork moment of bliss. Clearly now that I’ve joined DHARMA I can’t leave – right? 7. 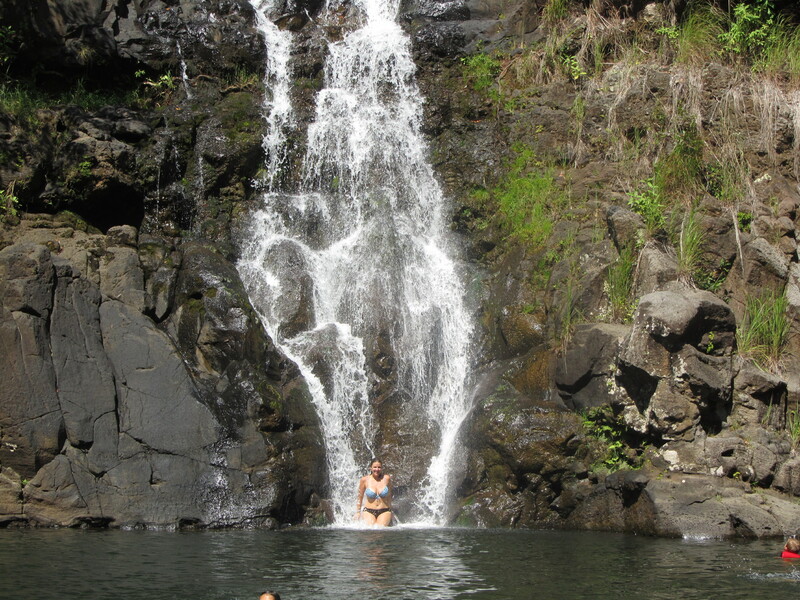 Hungout in a freakin waterfall in the middle of Waimea Valley. This was seriously the coolest. 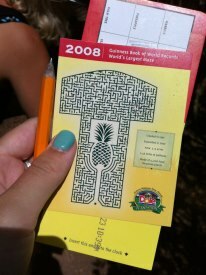 I HIGHLY recommend trying this maze if you’re ever in Hawaii and at the Dole Plantation. 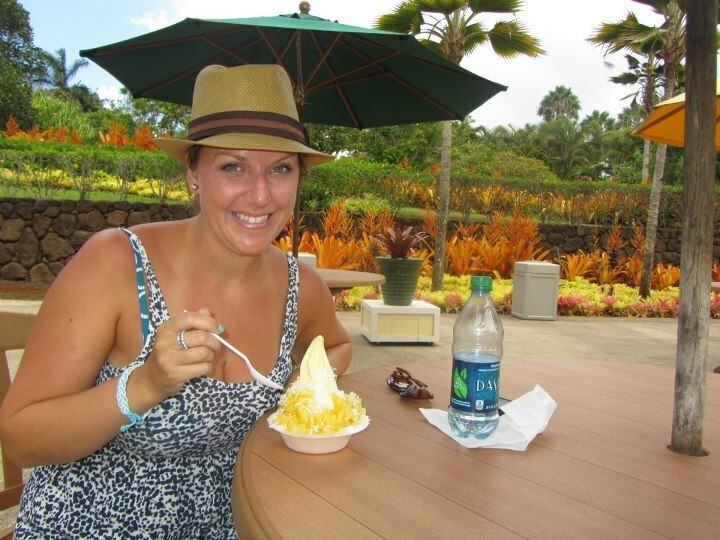 Followed by the Dole Whip of course. 9. 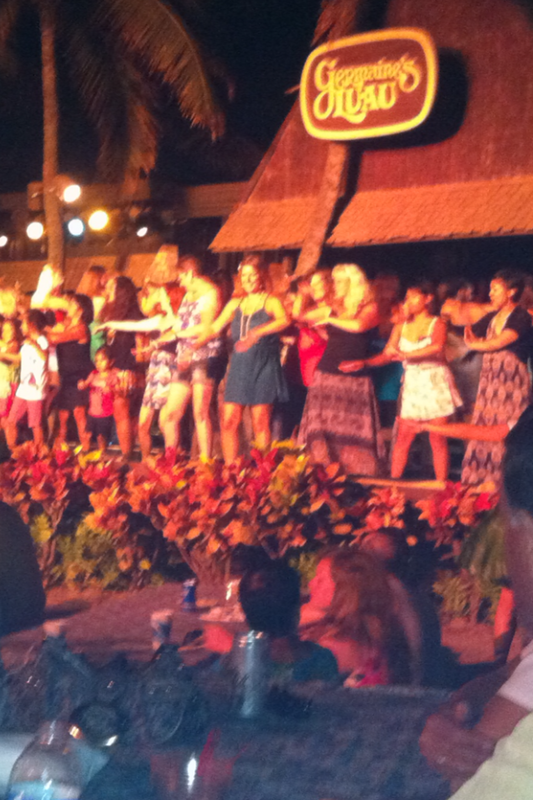 Danced the Hula on stage at a luau in front of 300 people. 10. 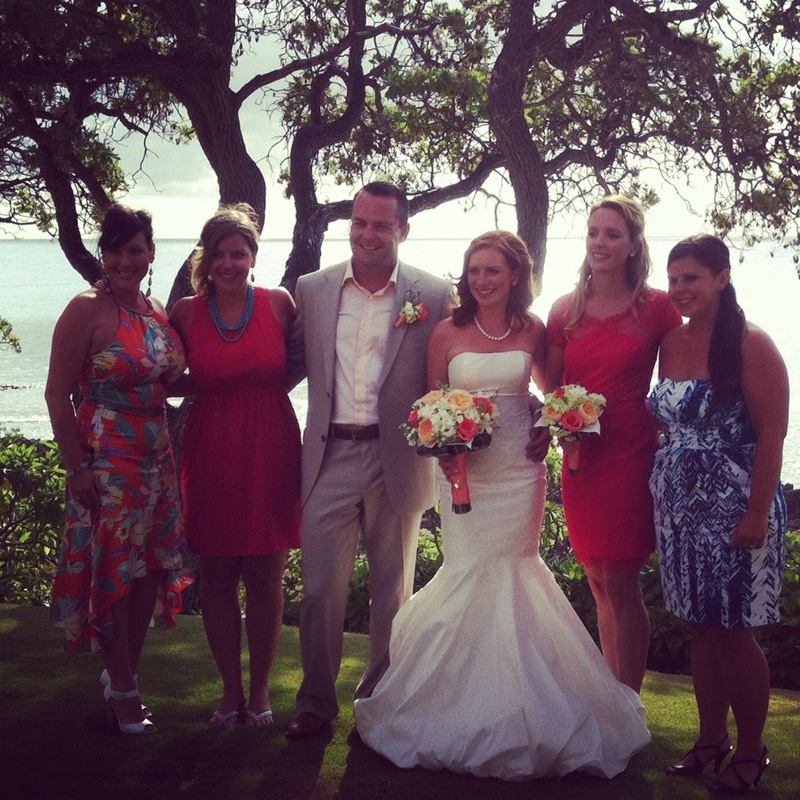 I watched one of my best friends marry her best friend at Turtle Bay Resort. It was an absolutely perfect Hawaiian wedding in every sense. 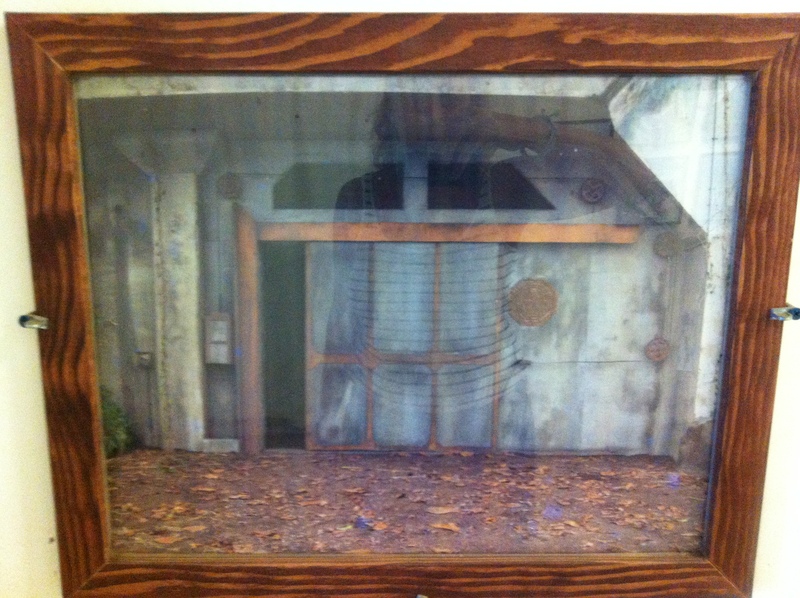 A quick glimpse or an update if you will of what I’ve been up to! 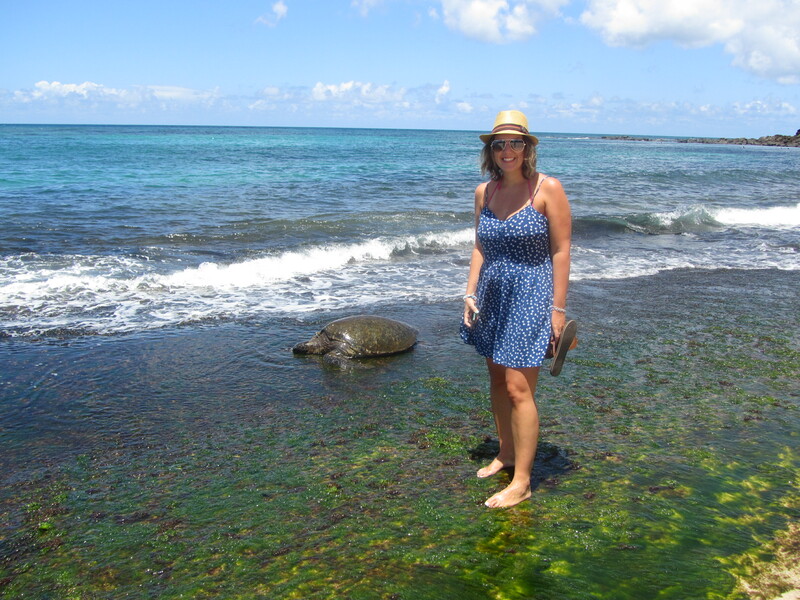 If you don’t already follow me on Twitter – you should! Plenty more wicked pictures to come so hop on over to @crystalcrichard and get on it. Or you can always find me on Instagram – @crystal_catherine ! 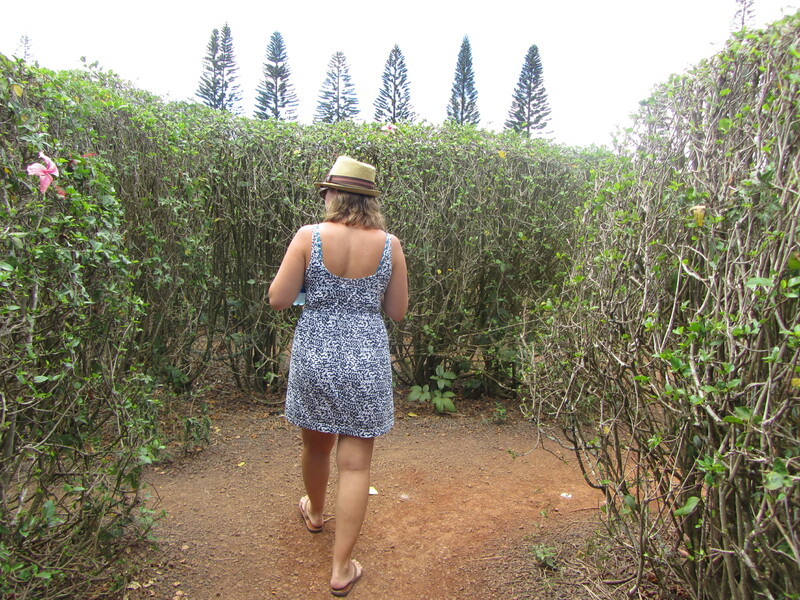 Until next time (which should be from Kauai this week) – Aloha! !